One of Canada’s largest shipbuilder sees a bright future for robotics technology in the marine vessel and has invested in a Vancouver-based collaborative robotics systems company. Novarc Technologies recently announced that it will now be able to scale commercially thanks to a $1 million investment it secured from Seaspan ULC. BDC Capital participated in the round via its Venture Acceleration Program for seed- stage ventures that graduate from select Canadian accelerators. These include B.C.’s Foresight Cleantech Accelerator program, which Novarc successfully completed. Novarc builds advanced custom robots for niche applications using advanced control techniques and computation to solve challenging automation problems. 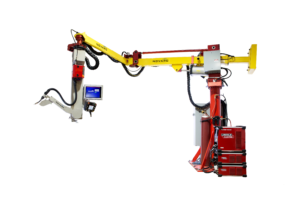 It specializes in building collaborative robots, welding robots, and long-reach manipulation to allow pipe welding to be performed more precisely and economically. Seaspan ULC is primarily involved in coastal marine and deep-sea transportation, bunker fuelling, ship repair and shipbuilding services on the West Coast of North America. He said the money will allow his company to commercially scale its Spool Welding Robot (SWR). The SWR is a collaborative welding robot designed for high-mix, low volume production. Because of the funding, Novarc can now also expand its sales and marketing efforts in North America and continued investment in research and development. “This investment demonstrates how the National Shipbuilding Strategy can drive innovation and help firms like Novarc commercialize and market their technologies so that they can continue to strengthen Canadian shipbuilding,” said. The investment is a result of Seaspan’s value proposition obligations under the National Shipbuilding Strategy (NSS). As part of this agreement, Seaspan is committed to spending 0.5 per cent of each resulting NSS contract to contribute to the development of a sustainable marine industry in Canada. The NSS, formerly called the National Shipbuilding Procurement Strategy, is a $39 billion, long-term project of the Canadian government to build up Canada’s fleet of combat and non-combat vessels. Irving Shipbuilding Inc. won the largest chunk of the NSPS when it was awarded the $26 billion contract as part of the combat vessel package. 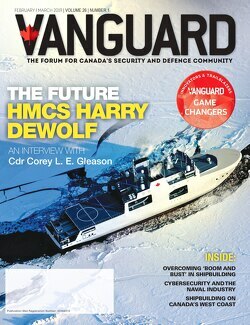 Seaspan of Vancouver got the smaller $8 billion non-combat vessel contract and Quebec’s Chartier Davie won the much smaller $587 million civilian tanker retrofit contract. Seaspan’s Vancouver Shipyard is working on the production and delivery of the first three Non-Combat ships – the first, second and third Offshore Fisheries Science Vessels (OFSVs).